Replacement NightWatch Lures (Kairomone Lures) are used with the NightWatch Bed Bug Monitor Trap. One pack of replacement NightWatch Lures contain 4 lures. Each lure will last for 7 nights. 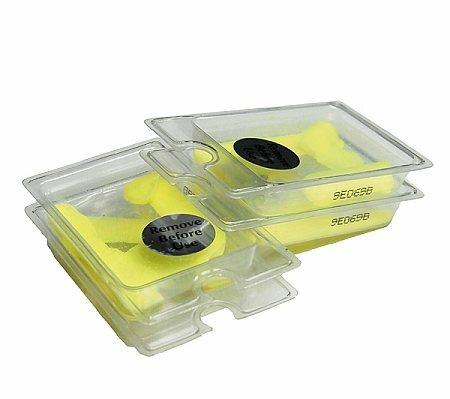 These proprietary NightWatch Lures use the bed bugs own natural biological attractants and feeding instincts against them to attract and trap them quickly. Q: I have treated for bed bugs but want to make sure they are gone . Will I know in 7 nights with this product if my family is bedbug free ? I assume that you intend to use this product with a NightWatch monitor, as this lure pack won't be useful by itself. However, if you do use it with a NightWatch, there's a very good chance that it will confirm whether or not bed bugs are active in the room (though there's no 100% guarantee of that). I like the way they fit on the Nightwatch and they are non-messy. Big plus. To date, about 2 weeks now, we have not seen any bed bugs in our vacant rental home. The previous tenant swears she had bed bugs. She didn't tell us until 6 months later and she moved out. But she took all her furniture with her. We had preventatively treated this rental a year ago with diatomaceous earth with no previous complaints. Thinking it may be possible she brought them with her and they left when she left, but not sure, as they may be hibernating. But, as far as the product usage, it's been easy to use. Just not sure we have bed bugs to lure or if product has started working yet. Bed Bug Supply seems to have the best prices and always look for your discount (there is a 5% coupon and online specials). I missed both of them and could kick myself as I had quite a large order. Reviewed by: Tina from McHenry. Shipped quickly and arrived just as ordered... Thanks! Reviewed by: Doug Eldridge from 1541 McKaig Avenue Troy OH 45373. Used but found no bed bugs. I hope this means we had no bugs. Reviewed by: Greg Hancock from Flagstaff.